342 p., 15,6 x 20,9 cm. This book provides insight into Schelling’s political thinking during the last years of his life. The entries in his diary show Schelling to be an accurate observer of political and social movements. 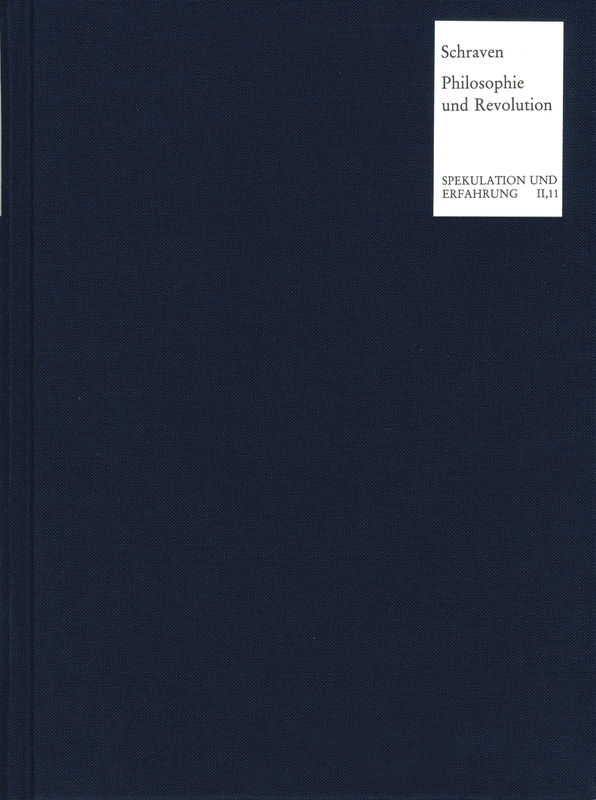 Based on Schelling’s entries written almost daily, this study establishes the connections with the events of the revolution themselves on the one hand and on the other hand it links these to the general political reflections resulting from this and the political philosophy developed some years later. Schraven shows that most of Schelling’s thoughts on the events of 1848 were inspired by reading the newspapers extensively. The volume includes a detailed appendix which documents the published material, some of which is difficult to access, to which Schelling refers explicitly.